Grains and cereals are definitely a category of food that is rich in iron. Grains contain the plant-based (non-heme) form of this mineral. Also, grains and cereals (especially whole ones), are rich in healthy dietary fiber as well and should be a cornerstone of your diet. For a better absorption of nonheme iron from food, you should combine it with an increased vitamin C intake. So, let’s have a look at the best sources of iron in this category. The first place on this list (and our winner in this category) is reserved for amaranth. It provides your body with 7.6mg of plant-based iron. Not only that, it provides a lot of other minerals, such as calcium, magnesium, phosphorus, potassium, and manganese. With regards to vitamins, amaranth contains only small amounts of folate, choline, and betaine. 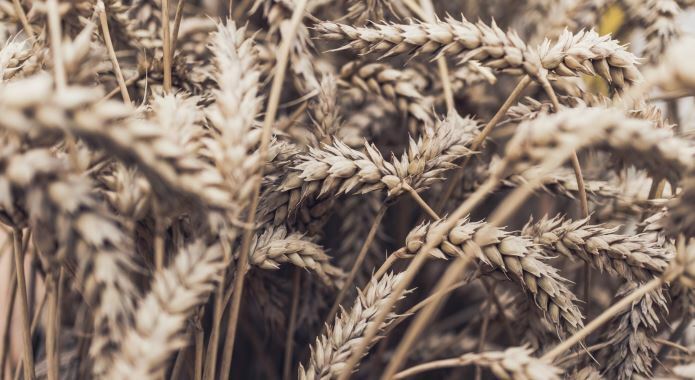 However, this grain is incredibly filling thanks to its combination of carbs (65.7g) out of which a majority is starch, dietary fiber (6.7g), and protein (13.6g). 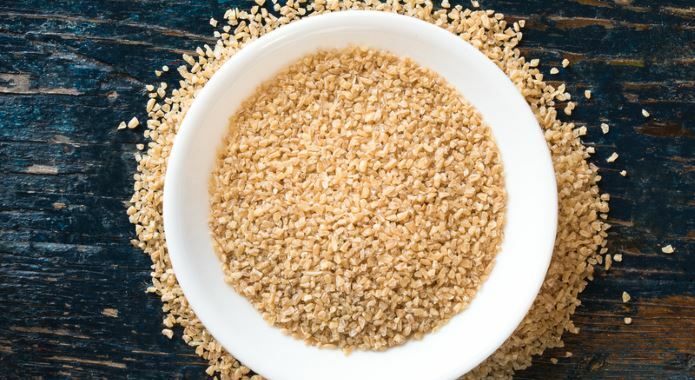 Although this grain may not be as common around the world as others on this list, it can be used in many meals (especially porridges and cereal bars). There are many recipes you can try right here. 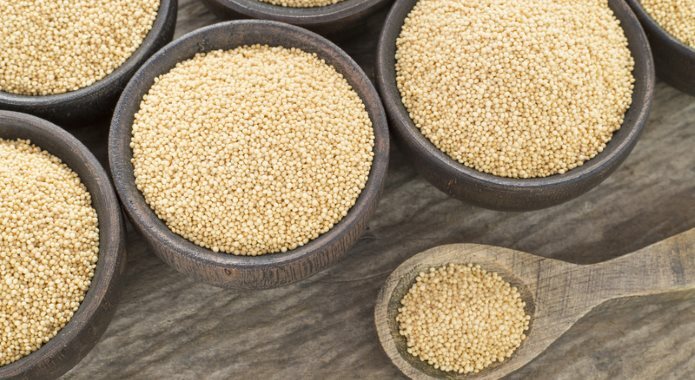 Teff is on the second place on this list with the same amount of non-heme iron as amaranth – 7.6mg of iron per 3.5oz (100g) serving. Actually, teff is a mineral-rich grain with a lot of calcium, magnesium, phosphorus, potassium, zinc, copper, and manganese. 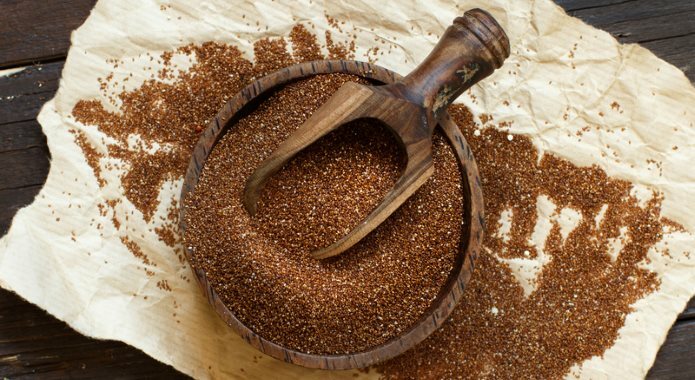 Although there are only minimal amounts of vitamins, teff is incredibly nutritious. It provides your body with 73.1g of carbohydrates (mostly starch), 8.0g of dietary fiber, and 13.3g of protein. Teff is an excellent source of energy. Therefore, I love to have it in my porridge in the morning. You can try this tasty recipe. Third place on this list is reserved for oats. This regular grain provides your body with 4.7mg of non-heme iron per 3.5oz (100g) serving. Also, it contains a lot of other minerals, especially magnesium, phosphorus, zinc, copper, and manganese. Oats do not include any significant amounts of vitamins. However, as other grains on this list, oats provide a lot of carbs (66.3g), dietary fiber (10.6g), and protein (16.9g). Because it is very filling, you should incorporate these grains into your breakfast as there are many tasty recipes for oatmeals. 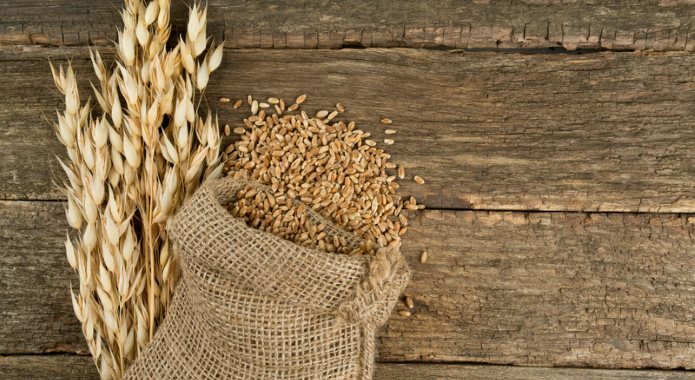 A common wheat is on the fourth place on this list as it will provide your body with 4.6mg of non-heme iron in a 3.5oz (100g) serving. It also provides several other minerals such as magnesium, phosphorus, potassium, zinc, and manganese. 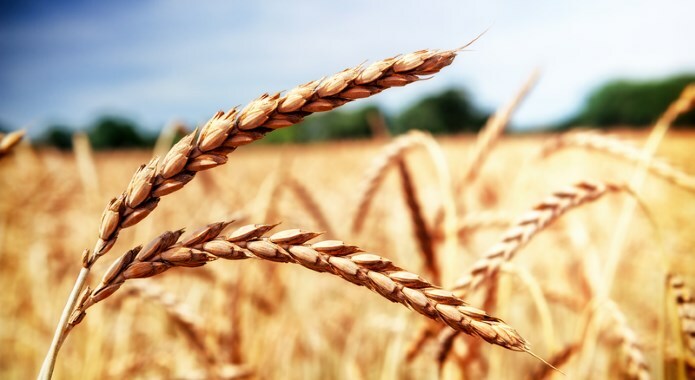 Vitamins are very scarce in wheat but it is still quite nutritious. It is mostly composed of carbs (75.9g), dietary fiber (12.2g), and protein (11.3g). 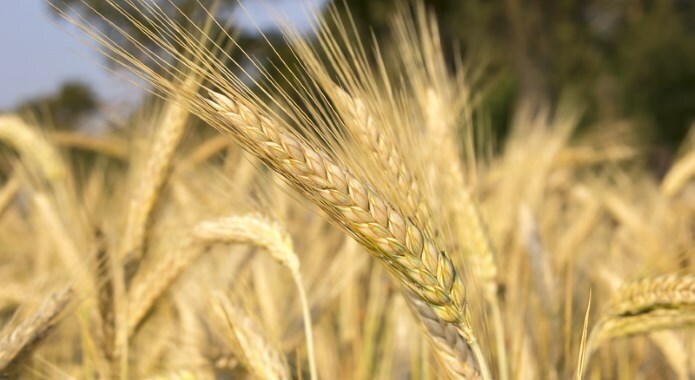 You can consume wheat most often in the form of bread and pasta. Not only that, there are many recipes that include whole wheat flour. The fifth place on this list is reserved for well-known grain called quinoa. It provides your body with 4.6mg of plant-based iron per 3.5oz (100g) serving. It is also quite rich in manganese, zinc, copper, phosphorus, potassium, and magnesium. There are also small amounts of vitamin E, folate, choline, and betaine. Quinoa is often regarded as a super-filling grain as it provides 64.2g of carbs mainly composed of starch and dietary fiber. Not only that, it provides 14.1g of protein so it is quite filling. That is why I love to combine it with veggies into tasty salads. See over 30 recipes right here. 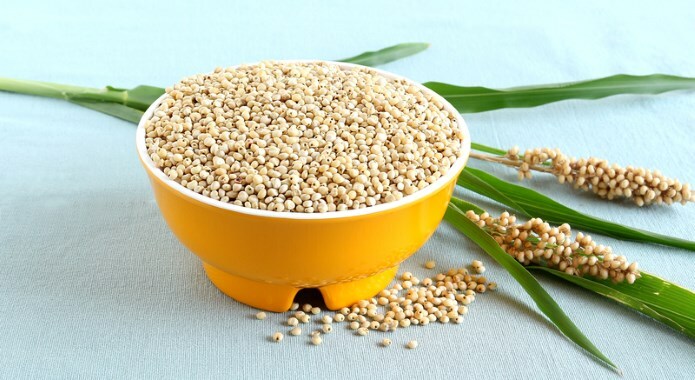 Sorghum is on the sixth place on this list as it provides 4.4mg of non-heme iron per 3.5oz (100g) serving. In comparison to other grains on this list, it includes a limited amount of other minerals (only calcium, phosphorus, potassium, and sodium). Also, there are almost no vitamins in sorghum. However, it provides a lot of carbs (74.6g), and dietary fiber (6.3g). It is quite filling as it provides around 11.3g of plant-based protein. My most favorite way of preparing sorghum is to blend it into flour and add it to a pizza crust. You can check out other recipes here. Seventh place on this list is reserved for kamut as it contains 4.4mg of non-heme iron per 3.5oz (100g) serving. With regards to other minerals, kamut is quite rich in magnesium, phosphorus, potassium, zinc, manganese, and selenium. 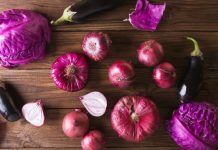 Except for choline and betaine, there are minimal amounts of vitamins in these grans. 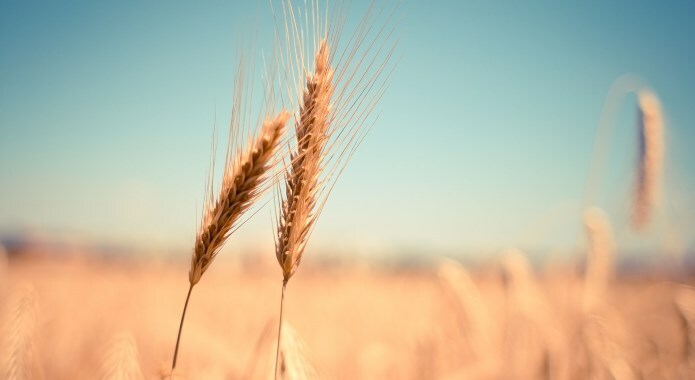 However, kamut is still nutritious as it provides 70.4g of carbohydrates, 9.1g of dietary fiber, and 14.7g of plant-based protein. I love to combine kamut with roasted veggies. There is a tasty recipe available here. Spelt is on the eight place on this list. It provides your body with a 4.4mg of non-heme iron per 3.5oz (100g) serving. 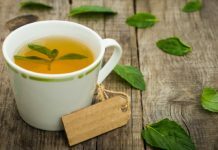 Not only that, it is quite rich with regards to mineral content as it contains a lot of magnesium, phosphorus, potassium, zinc, copper, and manganese. It lacks any significant vitamin content except a small amount of niacin. Unsurprisingly, it is very rich in carbs (71.4g out of which is 10.7g is dietary fiber) and plant-based protein (14.6g per 3.5oz/100g serving). You can use spelt not only in the main dish but in snacks and light meals as well. There are various tasty recipes worth checking out. 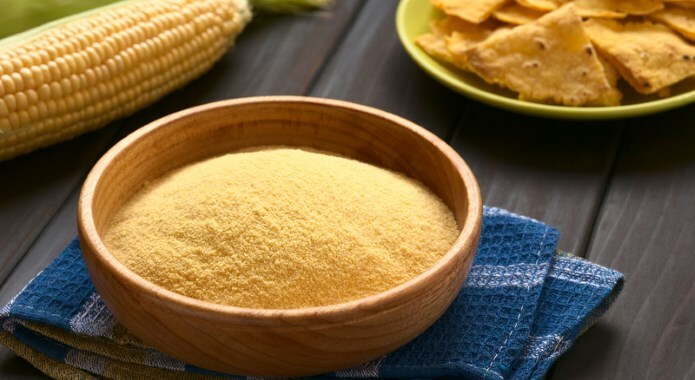 Ninth place on this list is reserved for a cornmeal as it contains 3.5mg of plant-based iron per 3.5oz (100g) serving. Other mineral content is not that interesting as it provides only a small amount of magnesium, phosphorus, potassium, manganese, and zinc. Vitamins are lacking in this one. Grains, in general, are quite nutritious and cornmeal is not an exception. It contains 72.9g of carbohydrates, 9.4g of dietary fiber, and 9.8g of protein per 3.5oz (100g) serving. My most favorite way to prepare cornmeal is a polenta for breakfast. However, you can use it in many other recipes for both salty and sweet meals. 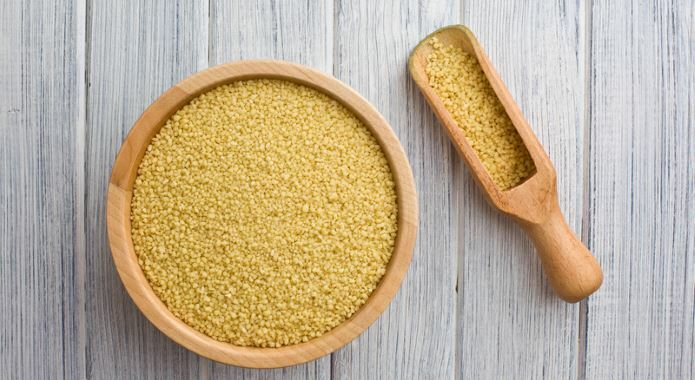 Millet is on the tenth place on this list as it provides your body with 3.0mg of non-heme iron per a 3.5oz (100g) serving. 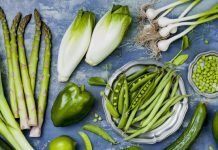 Also, it contains small amounts of several other minerals, such as copper, selenium, manganese, potassium, phosphorus, and magnesium. On the one hand, there is lack of vitamins in millet, only a tiny amount of niacin. 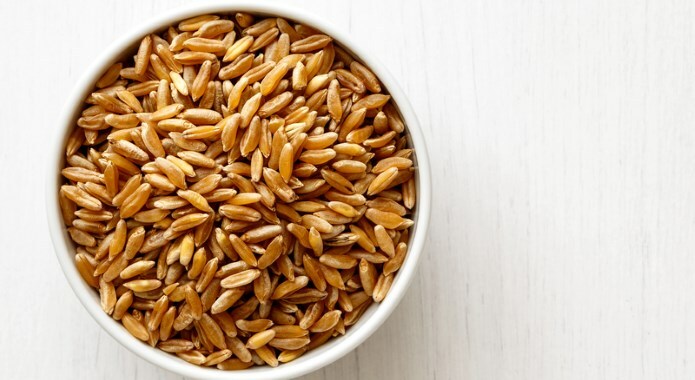 On the other, this grain is rather nutritious as there is a lot of carbohydrates (72.9g) out of which is 8.5g of dietary fiber that is necessary for a proper digestion. Also, there is a good amount of plant-based protein in this grain (11.0g per 3.5oz/100g serving). Millet is excellent for breakfast as a porridge, or you can combine it with other grains and veggies for a tasty salad. 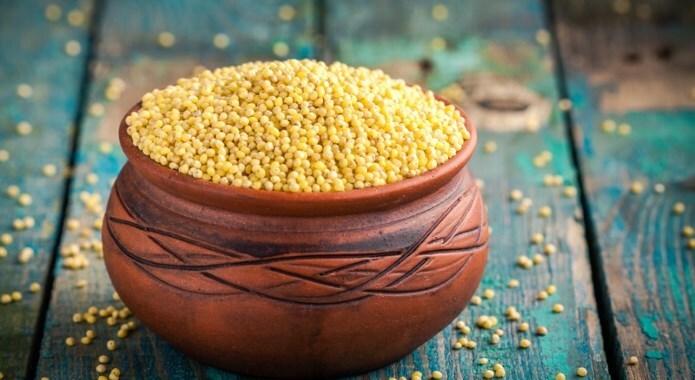 Just check out these millet recipes. Eleventh place on this list is reserved for rye as it provides your body with 2.7mg of plant-based (non-heme) iron per 3.5oz (100g) serving. Rye also provides small amounts of other minerals such as phosphorus, potassium, magnesium, manganese, and selenium. 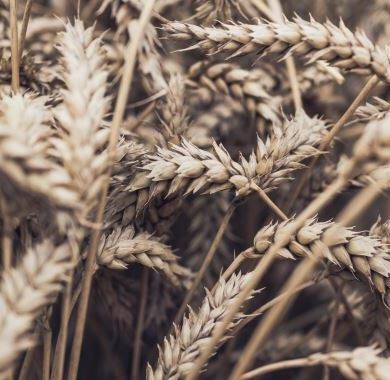 With regards to vitamin content, rye provides only a tiny amount of choline, niacin, pantothenic acid, and vitamin E. Also, rye is quite nutritious as it contains a lot of carbs (69.8g), dietary fiber (14.6g), and plant-based protein (14.8g per 3.5oz/100g serving). Usually, you can eat rye in the form of bread, but there are also several other recipes for you to choose from if you want to incorporate this cereal into your diet. Bulgur is on the twelfth place on this list. It contains 2.5mg of iron per 3.5oz (100g) serving. 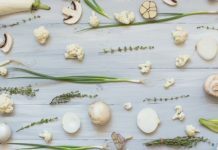 With regards to other mineral content, it provides a lot of manganese and small amounts of potassium, phosphorus, and magnesium. There are not many vitamins present except some niacin and choline. This grain is rich in carbohydrates (75.9g) and dietary fiber (18.3g per 3.5oz/100g serving). Also, you will find a lot of plant-based protein in bulgur (12.3g). The best part? You can prepare bulgur in tasty salads, as a side dish, or as a sweet breakfast. Just check out these great recipes. Thirteenth place on this list is reserved for Barley. It provides your body with a 2.5mg of non-heme iron per 3.5oz (100g) serving. You will also discover potassium, phosphorus, selenium, manganese, and magnesium. You will not discover many vitamins in this grain but it is a good source of carbs (77.6g per 3.5oz/100g serving) and dietary fiber (15.6g). 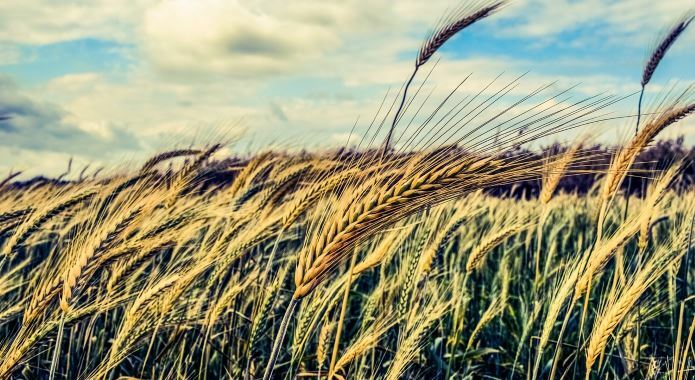 Plant-based protein is also present in barley (9.9g). With regards to preparation, there are many recipes that are not only tasty but healthy as well. Buckwheat is on the fourteenth place on this list. It provides your body with 2.2mg of non-heme iron in a 3.5oz (100g) serving. Buckwheat contains also a small amount of magnesium, potassium, and phosphorus. 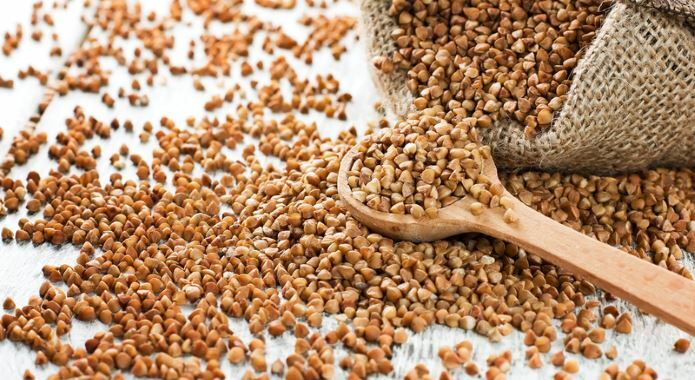 Vitamins are scarce in buckwheat as there are only tiny amounts of niacin and pantothenic acid. 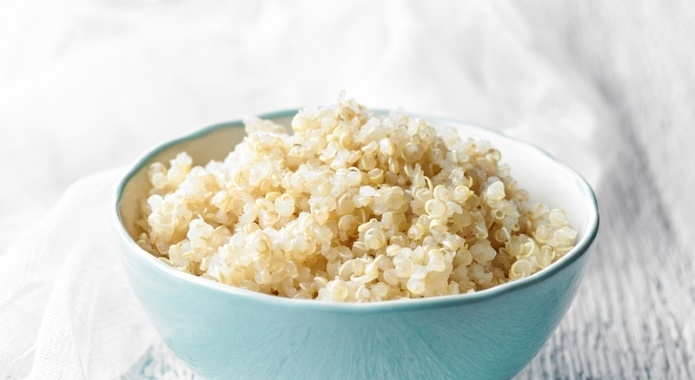 Buckwheat also provide a lot of carbs and a good supply of dietary fiber (10.0g). Also, it is a good source of protein as it includes 13.2g per 3.5oz/100g serving. You can use buckwheat as a regular side dish or you can try some more complex recipes here. The fifteenth place is reserved for a brown rice. It provides your body with a 1.8mg of non-heme iron in a 3.5oz (100g) serving. 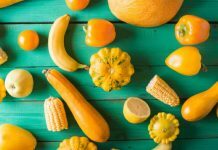 It does not provide your body with huge amounts of minerals except potassium (and only a tiny amount of calcium, manganese, and phosphorus). 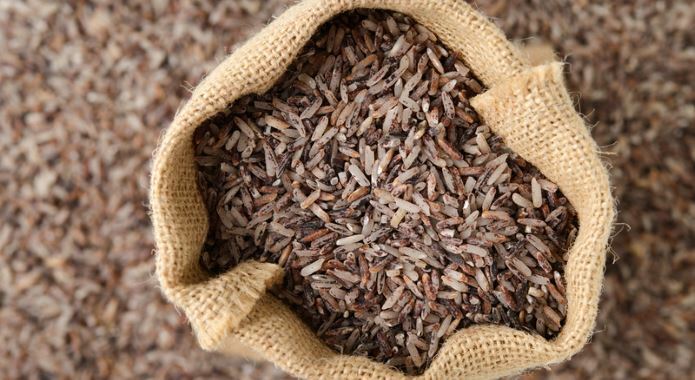 Brown rice includes only a small amount of vitamins such as niacin and pantothenic acid. It includes a lot of carbs (around 76.2g) but only 3.4 grams of it is fiber. Also, it provides a small amount of plant-based protein (7.5g per 3.5oz/100g serving). Brown rice is a common side dish around the world. However, thanks to these recipes you can use it in an uncommon way. Couscous is on the last place on this list as it only provides your body with a mere 1.1mg of iron per 3.5oz (100g) serving. 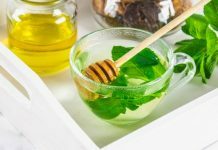 Surprisingly, it does not provide your body with huge amounts of minerals (only a tiny amount of calcium, manganese, phosphorus, and potassium). Couscous includes only a small amount of vitamins such as niacin and pantothenic acid. It includes a lot of carbs (around 77.4g) but only five grams of it is fiber. Also, it provides some plant-based protein (12.8g per 3.5oz/100g serving). Luckily, there are many ways you can include couscous in your meals (both salty and sweet). It is up to you to choose which couscous recipe is the best for you.